In Reno window tinting can be a great way to save money. We average 252 days of sunshine per year, and that can mean serious sun damage for the interior of your car or truck. Find out about our different grade window films by Llumar. It can go by many different names, but clear bra paint protection, -- also known as invisible bra, 3M film, car bra etc. -- is all the same to us. Driving the Reno / Sparks Nv. roadways can do some serious damage to the finish of your automobile. Why not come into Trimline to see about our 3M Scotchgard application services. A.R.E. truck caps and truck covers have been a staple of the aftermarket truck accessories market for years. Their quality is second to none and their prices are affordable. Come on down to our Sparks, Nevada showroom and take a look at the caps and toppers that we have in stock. If we don't have it, we can get it! Katzkin leather interior seat coverings are world renowned for their quality and durability. Come down to our shop and choose from a wide variety of colors, stitching and designs to make the inside of your ride come alive! Looking for a toolbox or truckbox for your 4-wheel drive? Trim line of Reno carries a wide range of products from manufacturers such as TrailFX and UWS. Visit us, and we guarantee that you'll drive away happy. Are you looking for running boards or nerf bars by Wade or Westin? Well, you've come to the right place. We can help you choose the model that is right for you. We'll also install them for you. What's a 4x4 without a bedliner? We carry plastic polymer bed liners by Bedrug and can also introduce you to the spray-on variety by Line-X. Mobile video and DVD player setups in cars and trucks are an increasingly common sight these days. We offer in seat / headrest digital screens by Audiovox and Rosen to keep those kids happy on the long drive home. Many people already have their vehicle windows tinted, but how about your home or business? Studies show that you can save up to 30% per year on your energy bill with Llumar protective window tinting films. Sparks Window Tinting can help you find out more. Looking for the best deals on tonneau covers? Come in today and let us help you choose a new, rugged A.R.E. tonneau cover that will fit your truck. Want to contact us? Check out our About Us page. Llumar Formula One window tint film is simply the best that you can get for your car or truck. Llumar offers many different grades and tints to fit any budget. Sun damage is not good for the interior of your vehicle or your eyes. Come on in and take a look at our product line. You’ll be glad you did. We offer the most experienced clear bra installers in Reno. We offer the highest quality solar protection products from Llumar – the industry leader in high performance window tint film. Protecting your vehicle over the long haul is paramount to protecting your investment, and paint protection film is one of the first things you should consider with any new vehicle. Trimline is a long time dealer for the industry leading manufacturer of camper shells and toppers, A.R.E. Because of our long standing relationship with them, we can offer you excellent prices and can order any cap that they offer. We offer professional installation and a satisfaction guarantee! Print out these coupons to save on Auto/Truck Tint and Camper Shell purchases. Northern Nevada’s one stop shop for auto and truck accessories. 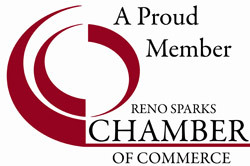 We have been serving the Reno, Sparks, Carson City and Lake Tahoe area for over 30 years and are a proud member of the Better Business Bureau. We specialize in camper shells, tonneau covers, custom window tinting and clear bra applications using A.R.E., Llumar window film and Scotchgard by 3M. We also carry a wide range of other aftermarket products including bedliners, nerf bars, toolboxes, truck covers, bed caps, mobile video units, leather seat covers and running boards. Compare our prices and quality of service to any other shop in town … you’ll be glad you did!